"Otis Spann is the Blues"
Some music travels far before it sticks in my soul. Ten years ago I bought "Charles Mingus Presents Charles Mingus." I was instantly taken with the album's fiery, focused small group jazz and the all-star lineup: Mingus on stand up bass, his seasoned drummer Dannie Richmond, and an explosive pair of horns - Ted Curson on trumpet and the phenomenal Eric Dolphy on bass clarinet and alto sax. The album was on Candid, an obscure label which released just four of the records in Mingus' extensive catalog. Intrigued by this newly discovered label, I typed "Candid" into the library search engine in one browser then toggled over to another browser to read reviews of the selections at allmusic.com. 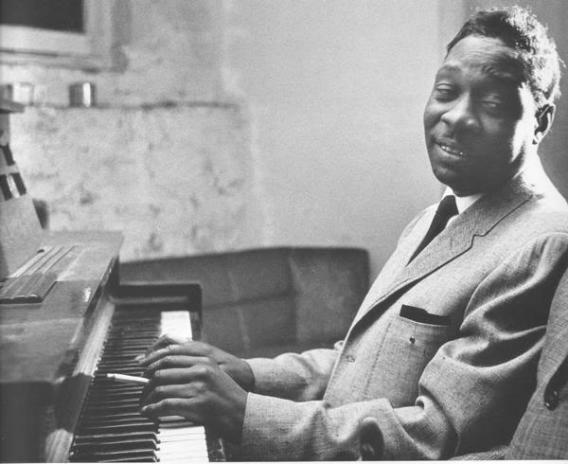 This search bore fruit in the form of "Otis Spann Is the Blues," the first solo release from the man best known as Muddy Waters' long-time piano player (Spann also worked with legendary blues figures Howlin' Wolf, Bo Diddley, and B.B. King). The review was short but enthusiastic, as I was when I requested the CD for pickup. Saying one is the blues is a ballsy claim, but the music lived up to my high expectations on first listen - only to become a victim of circumstances. In the ancient days before I had an iPod, my music collection expanded faster than my free (listening) time could accommodate; some CD's were played no more than a handful of times before being lost in the shuffle. At the same time I was acquiring music, I was making duplicates of CD's my roommate liked for living room listening. Several years and many, many musical moments later, the CD player in my living room went kaput. My roommates and I fell back on an iPod dock for the common area, which made the hundreds of CD's in the living room instantly obsolescent. There they sat, gathering dust for a year or two, until it occurred to me that I could play CD's at work to enliven the day. I brought music which was acceptable to my work mates into the office. 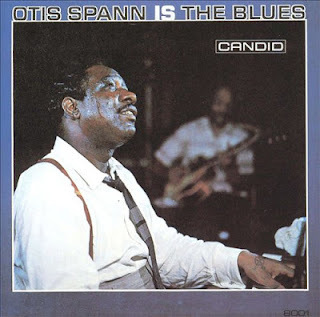 Among those lost and found treasures was "Otis Spann Is the Blues." Once again, I remembered why I'd loved this release. I can't recall hearing any blues piano so lush and expressive. Though some blues purists place a premium on Spann's forebears, I think this album is a nice bridge between the acoustic blues of the '20s, '30s, and '40s and the electric blues that arose in the '50s and predominated in the '60s. To me, this album is the real Chicago blues, arguably America's greatest cultural achievement (along with jazz). can sound like two instruments, and the clean channel electric guitar of Robert Lockwood, Jr., who had learned his instrument at Robert Johnson's knee. Highlights include the opening slow blues "The Hard Way," about Spann's growing up poor in segregated Mississippi, but making out all right. "Take a Little Walk with Me" is a rolling 12-bar blues very similar to the classic standard "Sweet Home Chicago." "Otis in the Dark" may be the liveliest, most rollicking boogie-woogie piano instrumental you'll ever hear. "Country Boy" reflects the rural underpinnings of blues music, the role sharecroppers and their children had in hatching this new form before it was brought to Chicago and electrified. "Beat-Up Team" starts with ornate blues piano phrasing and goes on to suggest that city slickers don't know everything. "My Daily Wish" communicates the heartbreak often associated with the blues. The song was written and sung by Robert Lockwood, Jr., so the piano's not as prominent as it is on the rest of the album. "The Great Northern Stomp" is a swinging instrumental with a ragtime feel. Dr. John would borrow the beginning for "Mess Around" on his classic 1972 album "Gumbo." "I Got Rambling on My Mind #2" is another tune about love gone sour. Robert Johnson had recorded the original. 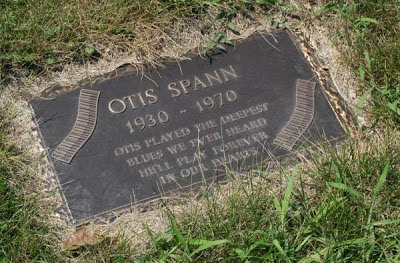 Sadly, Spann's career only lasted ten years past the release of "Otis Spann is the Blues." In 1970, at the age of 40, Spann succumbed to cancer. Luckily for blues fans, Spann left a rich musical legacy that will live on for posterity. I've become immersed in a number of different pursuits throughout my lifetime. Some (reading, music) have persisted through the decades and will be with me for the duration. Others (drawing and painting, tennis) faded away some time ago and may never rise from the ashes. In the third category are hobbies which leave and return, like a pleasant character (who you think has made a cameo) that re-emerges later on in the story, after they've been forgotten. One such interest for me is vintage cars. In 1979 my best friend turned me onto cars, though it would be years before we could legally drive. Once engaged I dove in head first. I paid close attention to every magazine and tv ad, walked through parking lots identifying cars and lingering on the beauties, and perused the price sheets in new car windows at the local lot. Eventually I could identify most of the cars I saw on the street and fantasized about owning a Corvette. American automobile aesthetics declined in the '80s. Cars became boxier, less elegant, less distinctive. I moved on to sports, weightlifting, heady rock, and writing. Over the past few years my visual appreciation of vintage cars (now loosely defined as vehicles which are at least 30 years old) has been rekindled as I've come across interesting specimens on my bike rides through San Francisco, where mild weather year-round allows vehicles to age gracefully. which'd had an unfortunate meeting with someone's front bumper. This Ford Fairmont from the late '70s/early '80s caught my eye. more sedate Ford Granada, which I took a driving test on. (business in front, party in back). particularly in the Mission District. The grill ornament is one of the most recognizable automobile insignias. I always liked the fourth generation Oldsmobile Cutlass Supreme. It had sharp lines and a taste of luxury without being too pricey. which make me think of upturned shark eyes. I also saw some vintage foreign cars on my ride. the front is grander than any I've seen on a Bug. A British car took the cake. Morgan had been customized or had been sitting peacefully in someone's garage for decades. 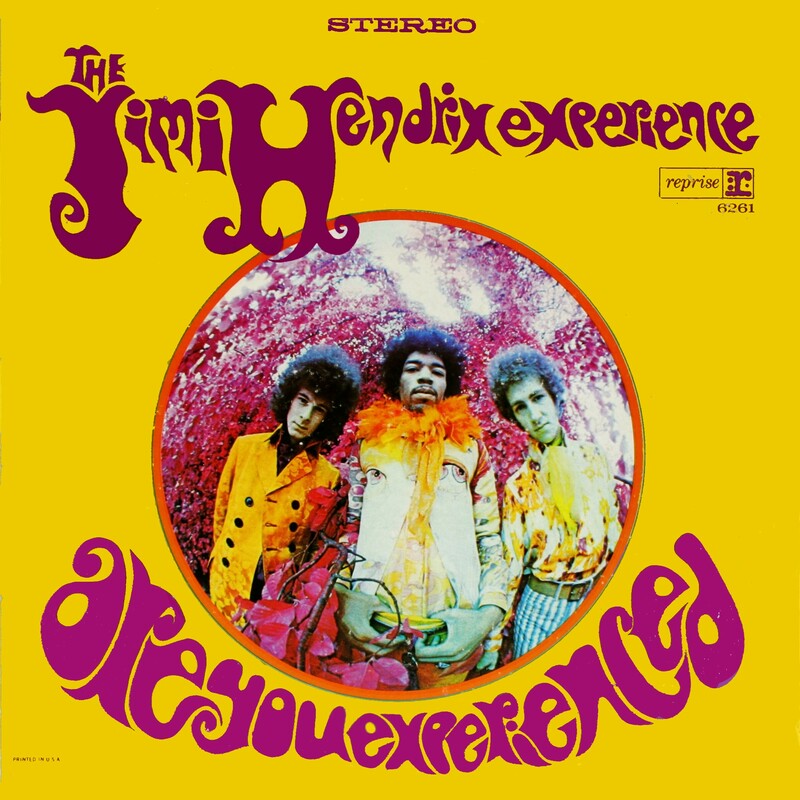 not unlike the cover of "Are You Experienced?" Stumbling on the Morgan was a perfect bookend to the evening. Camera in pocket, I cycled home as the shadows grew long. 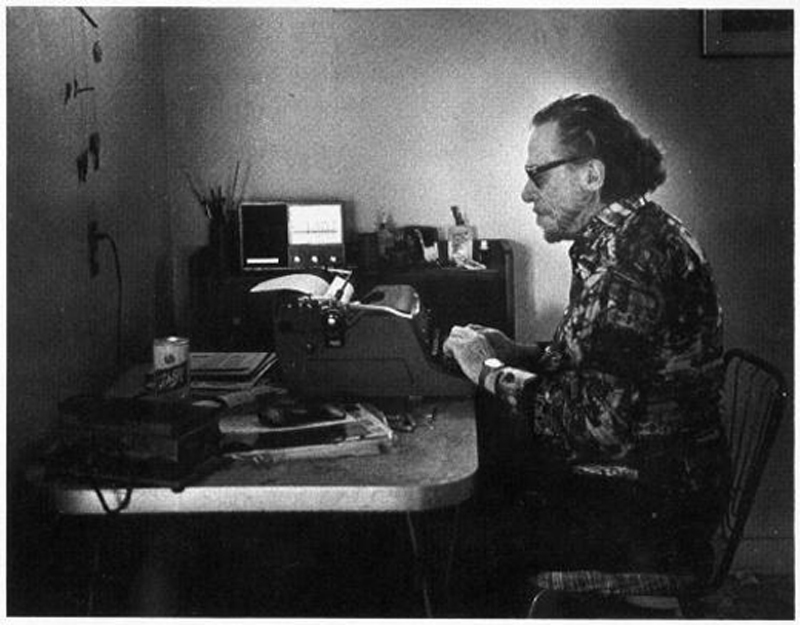 This Bukowski poem contains the best, truest advice on writing I've ever seen.